With mobile friendliness now a deciding factor in search rankings, it should be a component of your SEO website review as well. But what are the common mobile SEO mistakes to watch out for before you audit your site? Pop-ups and interstitial ads can be great for building emails lists, generating trial signups scheduling demos or drive other conversion actions. Great for your desktop site, that is. 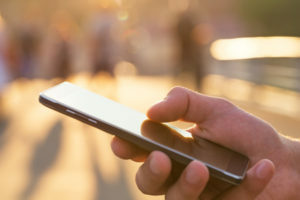 Mobile SEO is a different story. The fact is, Google, like your human users, doesn’t really like websites that put roadblocks between it and the desired content. Intrusive pop up: A pop up ad that prevents access to the page content, loading right after the rest of the page. Intrusive interstitial: An ad that has to be dismissed before the page content can be accessed. Inlined interstitial: A layout with the content above that looks and behaves like an interstitial ad, but has been inlined with with the page content. Google actually uses their presence of these popups and interstitials a negative ranking signal, so using them will actively lower your ranking. Login forms to access content that is not publically available. This also includes content behind a paywall (so no worries newspapers). When adding ads to your mobiles pages, ask yourself if it blocks access to the page. If the answer is no, your ad takes up a reasonable amount of space. Speed is super important for SEO, and it is even more important for mobile SEO. Almost half of mobile users expect a page to load in two seconds or less. 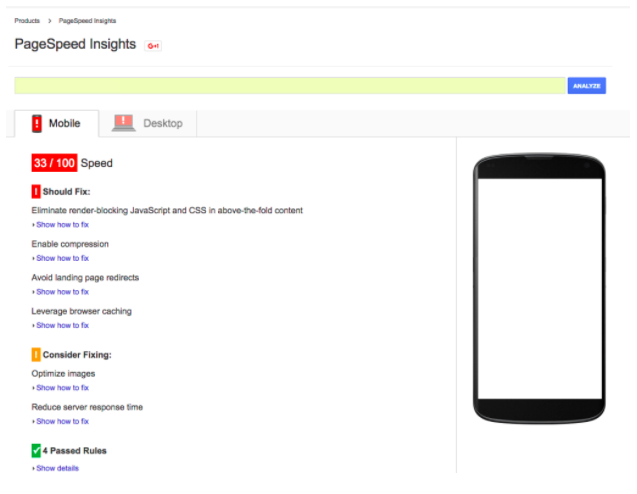 Google expects mobile friendly sites load in one second or less. 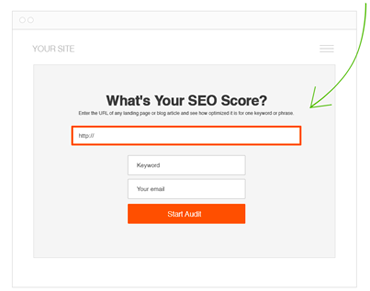 If your website is slow on mobile devices, you can find out why using an SEO auditing tool. A good audit will not only score your page speed, but find what’s blocking your pages from loading quickly. Make your base font size 16 pixels (this is the default size for most fonts). Set your tap targets to be at least 48×48 pixels with 32 pixels on all sides. Put actions and important content above the fold to reduce the need to scroll. Just like people interact with websites differently on mobile, use keywords differently as well. It’s very likely that your most successful keywords are not very successful for mobile searches. Log in to Google Search Console and check the Search Analytics report under Search Traffic and filter Devices by Mobile. Remember, voice search is becoming more and more popular on mobile devices, so focus on long tail keywords, often in the form of a question (how to, why is, who is, etc.). Answer the Public and Ubersuggest are great tools for this. App developer? You still need SEO. We’re not talking about app store optimization, which helps your app rank higher in app store searches. If you’ve got a content-based app that uses HTTP pages, SEO can get your app pages into web search results. This is possible thanks to app indexing. App indexing works when you associate your app with your website in Google Search Console and show the same content on your app and website. It doesn’t have to be 100% identical but it should be functionally the same. Otherwise you’ll get a content mismatch error in Google Search Console crawl errors. Your app pages will appear in the SERP for users who have installed your app. Your URL will appear in Google autocomplete for users who have your app. Indexed apps are used in Google’s Now, integrating their content even further with Android devices. While mobile SEO is sometimes seen as secondary to desktop, its quickly outpacing desktop search queries for some or all industry verticals. Leverage these mobile SEO tips, because 2018 is going to be an important year! Don’t miss out, take action now and dominate your vertical in mobile search results. I am getting a big fan of your posts. Thanks a ton to share the valuable knowledge.